When seemingly everyone and their dog (1) is sharing advice online, it can be hard to know who to trust. Our approach has always been to lead with our data instead of our opinions. This year, we've shared some of those data-driven insights with the recurring revenue community on Quora. We wanted to post some of our most viewed answers that can help you perfect your strategy and better understand your business. You can jump to the questions relevant to you below or check out the rest of our answers to 50+ questions from the subscription community on Quora. 1. What are important metrics to include in a company-wide daily email? 2. Does displaying price in local currencies help conversion? 3. Do VCs count setup or implementation fees in MRR? 4. Why do some subscription companies default to annual instead of monthly plans? 5. What are the key metrics that every subscription company should use to track their business? We'll kick things off with a topic that generated some significant back and forth: the value of daily metrics emails. What are important metrics to include in a company-wide daily email? It’s extremely important to have an actual daily email. Full disclosure — we’re committed to the daily email in our free subscription analytics tool ProfitWell Metrics. We set it up to deliver a daily email that gives a good overview of what’s going on without overwhelming everyone connected to the metrics. 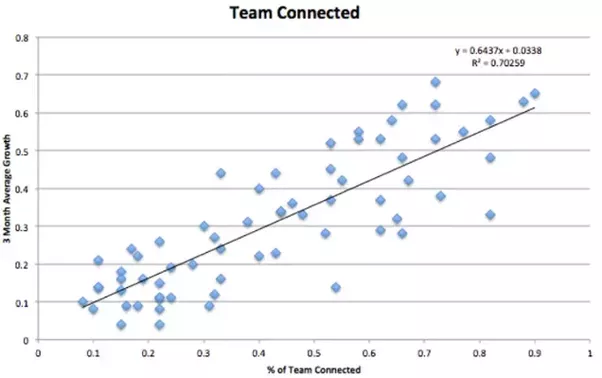 Evidence suggests connecting your entire team and being aware of how the company is doing can actually contribute to growth. In looking at what to actually put in the daily email/dashboard, you have a lot of options. It’s largely going to depend on what stage you’re in and which metric you’re trying to optimize. Based on our experience seeing inside thousands of companies, I recommend setting a compass metric based on the sole piece of the business you’re trying to optimize and then including the metrics that contribute to that compass metric. For most companies, that’s some sort of growth mechanism, such a MoM revenue growth. The factors that contribute to growth in a subscription companies are things like Monthly Recurring Revenue (MRR), MRR Churn, etc. What’s interesting is these emails can get very complicated, particularly because there are endless amounts of metrics that you could theoretically list. As such, I’d focus on that Compass Metric and then the secondary level metrics that contribute to that metric, but then allow for a link into your metrics dashboard. 5. Iterate - don’t overthink it too much. As you evolve, your needs will evolve. Next, we'll take a look at an incredibly simple way to increase your international growth: pricing localization. Does displaying price in local currencies increase conversions? 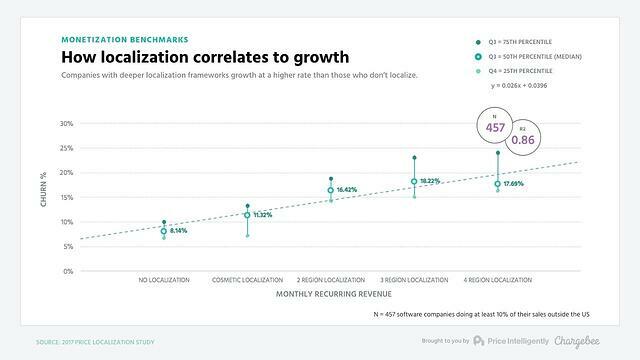 Price localization absolutely increases sales funnel conversions and overall revenue. While we've covered the impact of pricing localization in depth on our blog, it's worth repeating because this is one of the easiest ways to boost your revenue. The data supports that if you just cosmetically update your prices — meaning you keep the same relative price but display it in dollars in the States or pounds in the UK — you're going to see an 11% boost in your actual revenue. Consumers are just more trusting of the currency that they normally pay in. Think of your own purchases. More often than not if we're looking at something that's in a different country’s currency, we get a bit more hesitant to pull the trigger for a whole host of reasons that I'll leave up to the psychologists out there. If you actually go a step further and update your prices from a willingness to pay perspective on a region by region basis, you will see bigger monetization gains than you'd see with the cosmetic update alone. The reason this works is because you’ll have more brand penetration, fewer competitors, and ultimately there might just be more demand for your particular product in different regions. To determine how much you should actually change up your prices via each region, you’ll need to do some serious customer development which we talked more about in our blog post here. Now, we'll look at the way VCs evaluate your different types of revenue. Though we're happily bootstrapped, we've worked with hundreds of subscription companies that have leveraged incredibly accurate financial metrics to successfully secure funding. Do VCs count setup or implementation fees in MRR? From a traditional VC perspective, the short answer is no. They don't really count that one time revenue. You might get some credit if it influences your payback period or is somewhat recurring. Yet ultimately, it's one of those things where they're really looking at that recurring revenue solely from a software basis. That being said, the trend for more contemporary VCs in the subscription space is changing. We're finding that VCs are giving more credit for this type of revenue than in the past, as a lot of pricing models are turning from pure recurring subscriptions to predictable usage based models. Technology has caught up to the point that pricing can be much more value based and variable, which means the old school model of “we can only count subscription revenue as credit of success” is disappearing. Of course, this type of revenue isn’t setup or implementation fees. But, this shift in mindset is paving the way for more and more VCs to value more forms of predictable revenue. A lot of companies are finding that professional services fused with software can actually fuel growth considerably, even though they require some humans. At ProfitWell and Price Intelligently, we have pure software products, but we found that for some of our products injecting a human actually boosted LTV, MRR, and lowered our churn - all while increasing our margin beyond a lot of traditional pure software companies. When we chat with old school VCs, we get no credit. Yet, when we chat with more modern funds, we actually get extra credit, because of our unit economics. Long story short, I’d focus on building a good business first, and then fit the VC world into the equation. I know that’s easier said than done sometimes, but VCs help fuel growth, they don’t cause it. Next, we'll look at a positioning question that has big implications for your cash flow and churn: annual vs. monthly plans. Why do some subscription companies default to annual plans instead of monthly plans? The answer to this question really depends on what you're trying to optimize for and who you’re targeting as your customer. 1. Optimizing for retention and cash flows: these folks default to annual subscriptions because getting the money up-front boosts cash flow for them to reinvest within their business. 2. Optimizing for lower price buyer personas: these folks target personas that aren’t willing to pay for an annual subscription no matter what the price or no matter what the discount looks like. Ultimately, the decision comes down to those two particular factors, and this is something that I would encourage you to test based on your buyer personas. If you're looking at the SMB or even the mid-market sectors within your industry, then you should test each approach. Then, take a look at your unit economics. Look not only from a retention perspective, but also from an ARPU perspective and try to understand how much revenue is actually coming through your business to make an ultimate decision. If you're on the enterprise side, you should test getting rid of the monthly option altogether, mainly because your sales cycle doesn't necessarily justify the risk of losing a customer after one or two months. If your product takes three to six months to actually show the value to the particular customer, you want to make sure they're locked into an annual plan. Finally, we'll cover the different financial metrics you should be focusing on at every stage of your growth. 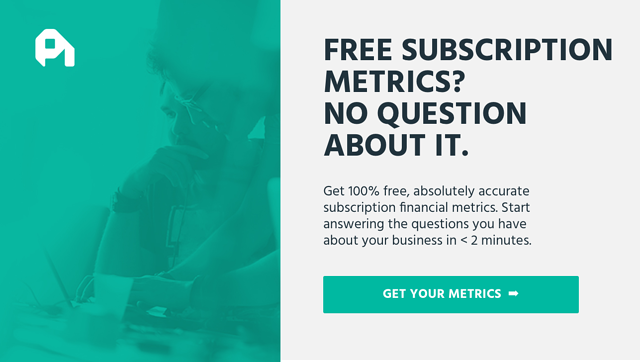 What are the key metrics that every subscription company should use to track their business? What's really interesting is that the true answer to this question is it really depends on your stage. Small, early stage companies should really just be focusing on whatever metric they're trying to optimize to prove out the stickiness of their product. That might be usage, growth from a user perspective, shoring up churn problem, or a whole host of other traction related metrics. In a study we did with companies that made it to the mid or late stage, we found that 3 out of 5 operators were focused on retention in the early days. At this stage, it’s all about figuring out market/product fit, so you should be optimizing for whatever firmly establishes that relationship. Tracking your gross churn is key becaause you want to make sure people love your product. Main takeaway for earlier stage folks: traction metrics (especially churn) are the name of the game. Mid-stage companies are where it gets fun because it becomes all about growth in some capacity. Theoretically you’ve proven out market/product fit, so you’re trying to capture as much of that market as possible. This is most traditionally measured in monthly recurring revenue for a subscription company. The speed of that growth is also extremely important. 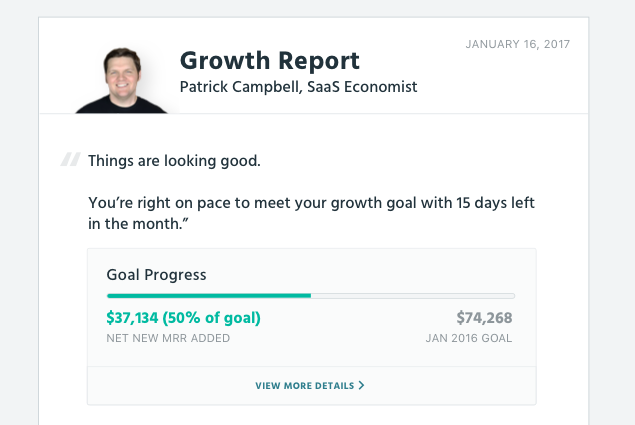 Main takeaway for mid stage folks: it's all about revenue growth shown through MRR. Metrics for later stage folks typically get much more complicated. At a later stage, you'll need to track a combination of the different metrics mentioned above. You need to make sure your churn is in order, your growth is in check, and that you're hitting all the right notes on the reporting side of the house with recognized revenue. Yet, what's really fascinating about this later stage is that the companies that are doing the best in terms of growth rate are rallying their teams around one single metric. This is known as a compass metric which we touched on in our first answer. Each respective team is made to understand what metrics they can optimize in order to feed to that larger metric. Shopify for instance continues to focus on revenue growth. The retention team or the customer success team knows what they need to make sure they have as great of churn rate as possible, which will protect overall revenue growth. Their sales team could focus on a bit more of the obvious - getting as many customers as they could who are right within their target and who weren't going to churn out in the particular future. Main takeaway for later stage folks: track everything but pick a compass metric and align your teams behind it. Long story short, the metrics you focus on largely depend on your stage. What doesn't change with company size is the necessity of accurately tracking your metrics in the first place. Whether you're brand new to the subscription game or a grizzled vet, there's a ton of really valuable learnings on Quora and other forums like it. The key is distinguishing the players from the spectators - and putting a premium on data-driven answers from those on the field. If you have any burning questions about your subscription business, post them on Quora and request an answer from us - we might even feature it in a future blog post. 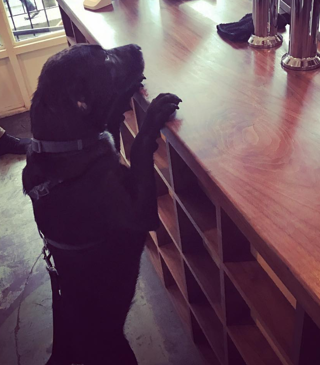 (1) On the internet, no one knows you're a SaaS dog.